It’s completely my honor to inform you all that Yangdon (BCH No-306) has completed her three years degree program of Bachelor of Business Administration (BBA) from Shoolini Institute of Life Science and Business Management under the scholarship program of BCH. At the moment she is in Kathmandu, Nepal and looking for a job at there. In her journey of student life, many generous people have supported to make her dream a reality. So, on behalf of her I want to extend my heartfelt thank you all for all of your love and unconditional support towards her. Short story of her life during study period. Yangdon was born on 26th November, 1996 as a daughter of Mr. Pema Rinzin and Mrs. Dawa Chonzom in small village called Gangra located in Himalayan region of Nepal. She was the 3rd child of her parents, she has one elder brother and sister, two younger sisters and one younger brother. Her elder sister also completed her school education under the care of BCH in year 2016. At the moment one of her younger sister Bhumo Karma (BCH No- 412) studying class 12 and younger brother Karma Damdul (BCH No- 445), studying in class 9, both of them is studying under the care of BCH. She was admitted in BCH on 30/01/2002; she was brought to BCH by her relative and started her school education from kindergarten. Since then she was studying under the care of Bon Children’s Home, Dolanji (India). She started her school education from kindergarten to class Ten (X) from Central School for Tibetan, Dolanji and after completing her class Ten (X) board exam in year 2013, she express her wish to continue her study in field of Commerce in class Eleven (XI) and Twelve (XII). By considering her wish, BCH has provided scholarships to joint Central School for Tibetans, Mussoorie for class her XI and Class XII. In the month of May, 2015, she completed her class XII board exam with a satisfied percentage. 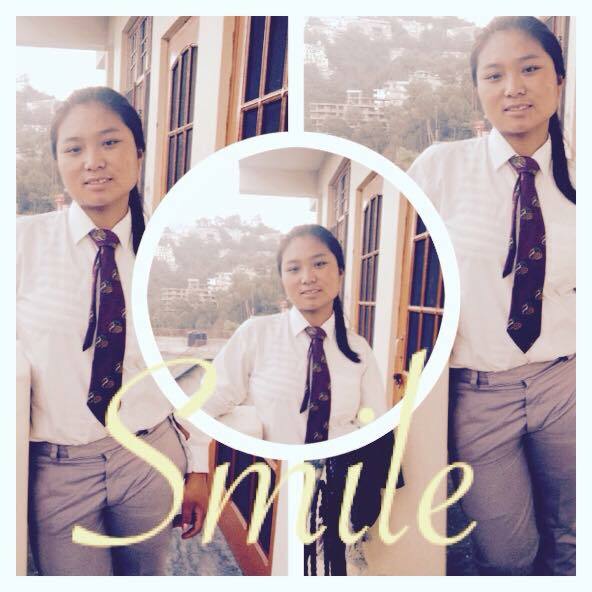 After completing her class XII board exam from Central School for Tibetans, Mussoorie in the month of May, 2015, she joined the Bachelor of Business Administration (B.B.A) in Shoolini Institute of Life Science and Business Managemant, Solan on July 2015, which is a 3 year course under the scholarship program of Bon Children’s Home. She completed her Bachelor of Business Administration (B.B.A) course in the month of May, 2018. It is proud moment for all of us that recently she completed her BBA three years degree program successfully.